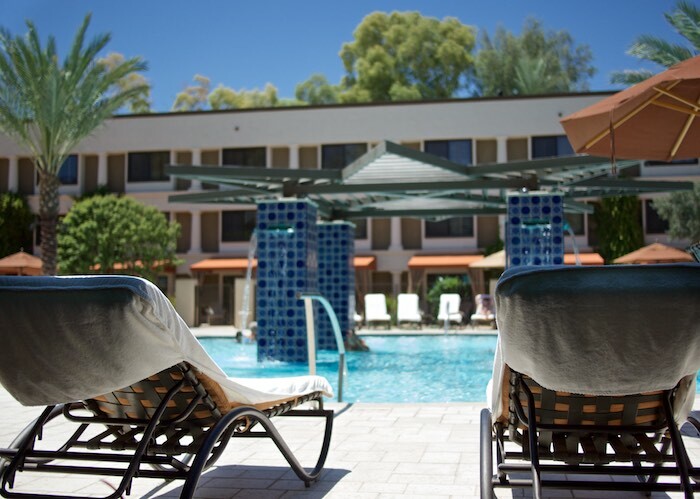 I recently had an opportunity to experience a 24 hour vacation right here in Scottsdale. 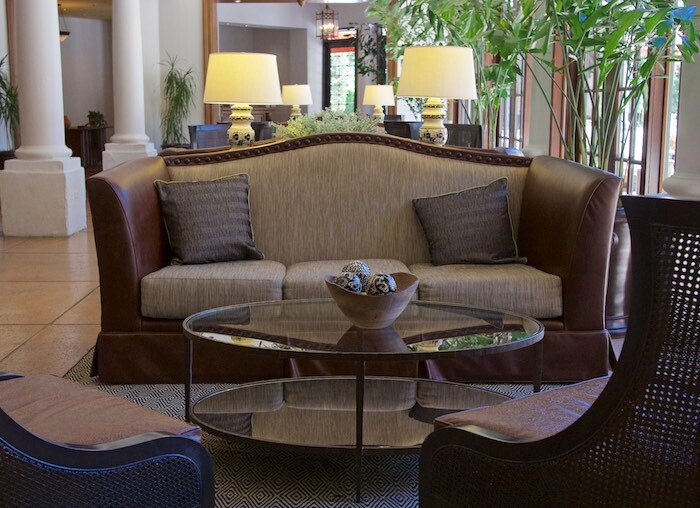 The recently remodeled Scottsdale Resort boasts a new restaurant, bar, a transformed main pool, a significant addition of outdoor meeting and event space, enhanced guest rooms, and a more open, welcoming feel. Hubby and I started our mini vacation with lunch poolside in our very own cabana. Twisted Vine, located at the main pool, is a full-service restaurant and bar that serves a nice selection of food and drink. Cabanas at The Scottsdale Resort come stocked with bottled water, fresh fruit and all you can eat chips and salsa. 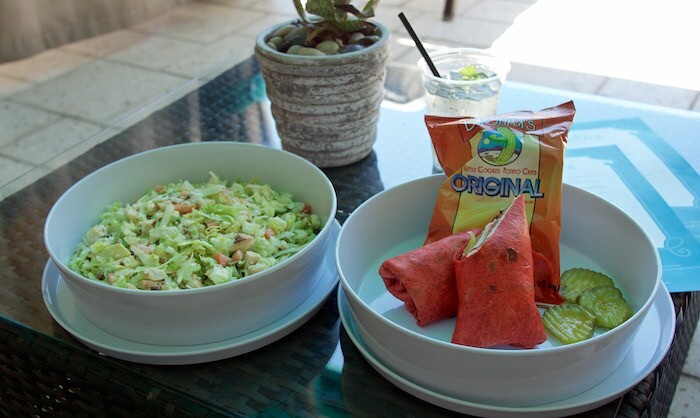 We enjoyed a Cobb salad, a turkey wrap and a Mojito while relaxing by the pool. After a few hours in the sun we headed back to our room to freshen up for dinner, but not before stopping in the lobby and enjoying the comfortable, friendly space. We hung out for awhile chatting, enjoying watermelon infused water and people watching. and a small bite to eat. 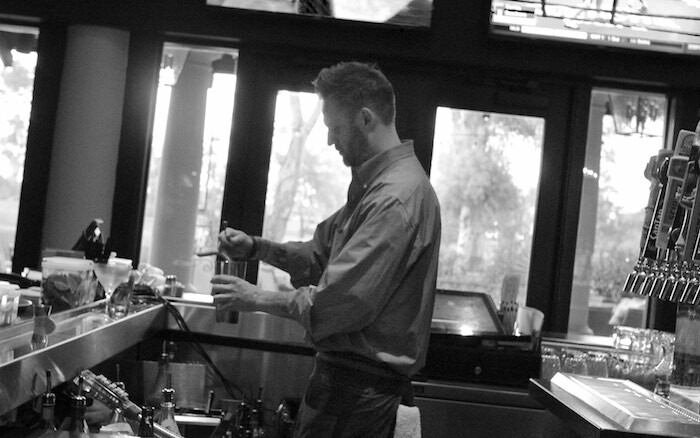 The vibe at the bar was lively and fun, with local entertainment and a nice mix of people. After enjoying a few drinks we made our way into Kitchen West for dinner. 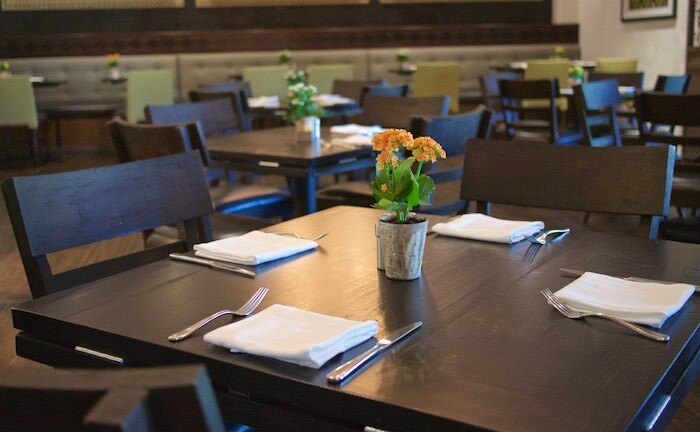 The restaurant, run by Executive Chef Rick Duper, offers delicious American fare that embraces the boldness of the Western spirit. 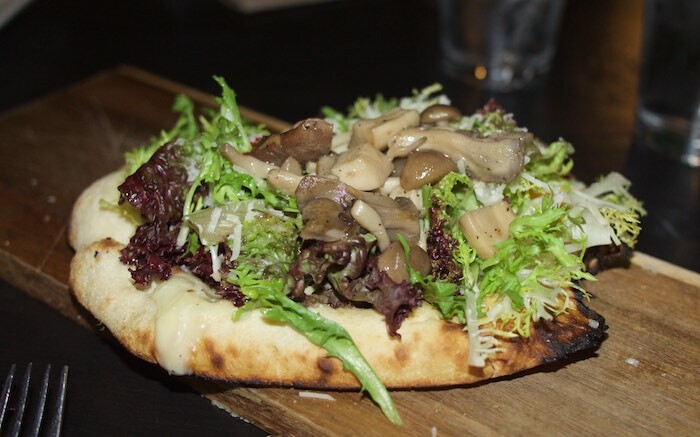 We started with one of chef's signature kiln cooked flatbread topped with an assortment of mushrooms, melted provolone and fresh greens. Thicker than a traditional flatbread it reminded me more of a pizza. Either way the combination of flavors was spectacular. My husband, couldn't resist ordering the smoked brisket burger. Two rather large and delicious burger patties with pieces of smoked brisket sandwiched in between was topped with bacon and burnt tomato jam. Let's just say it was delicious. I decided to get something a bit lighter. The halibut served with farrow, kale and grape salad was amazing and exactly what I was in the mood for. 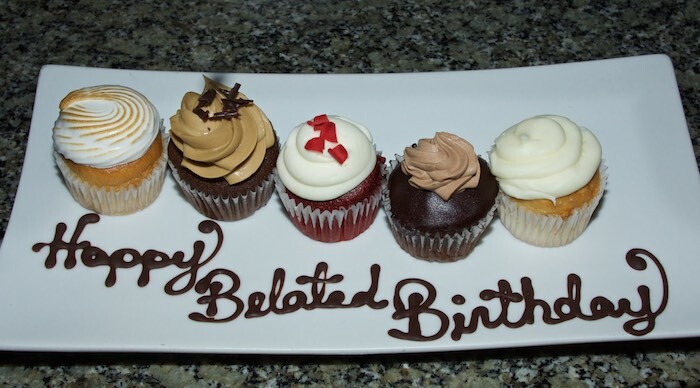 Dinner was followed by a surprise belated birthday dessert for me. It's always a nice touch to receive something special when dining out and this cake was no exception. Though we were invited to enjoy the resort's movie night at our poolside cabana we decided to retire to our room after such a tasty feast. 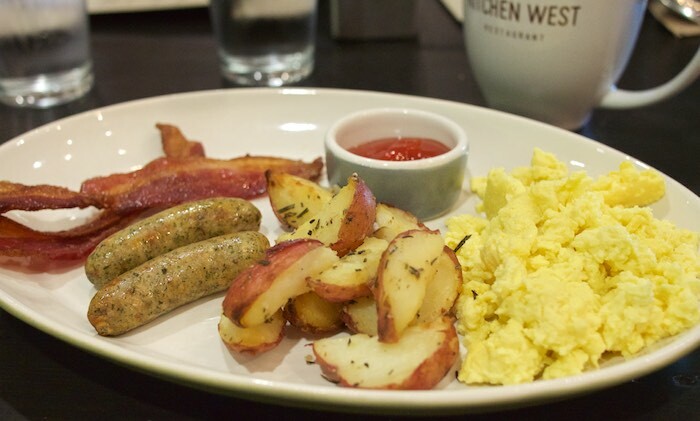 The following morning we made our way back to Kitchen West to enjoy the breakfast buffet. 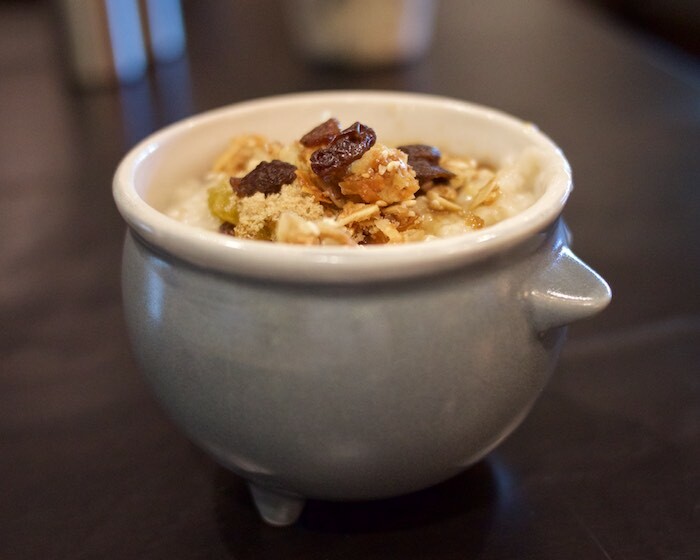 The restaurant offers everything you could possibly want in a buffet including fresh fruit, oatmeal, eggs, breakfast meats, french toast, yogurt and homemade pastries. Though they weren't serving brunch yet...chef wanted us to try a few of his signature brunch items and I'm glad he did. In the midst of sampling the buffet he sent us a plate of his huckleberry pancakes served with house made honey butter and maple syrup...let's just say he has made a pancake lover out of me. The star though had to be his Brisket Eggs Benedict. 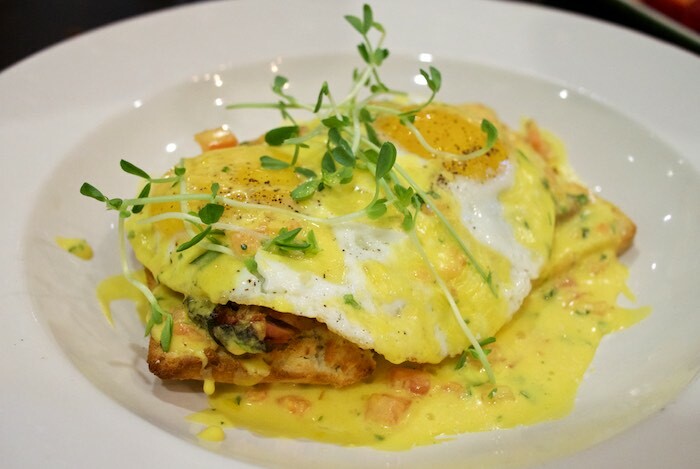 Two eggs served over freshly made biscuits, topped with his signature smoked brisket and homemade hollandaise sauce. 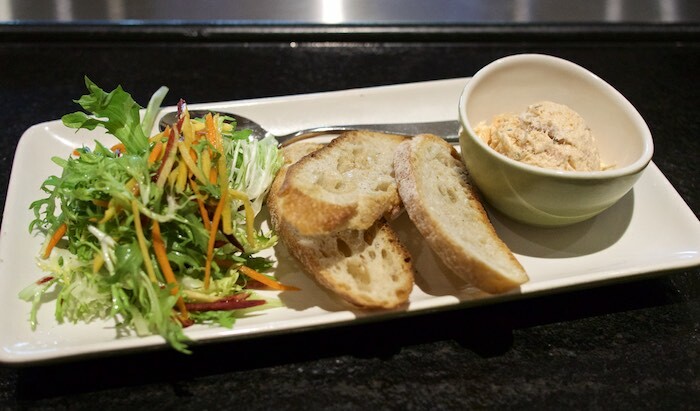 I would go back for this dish alone! 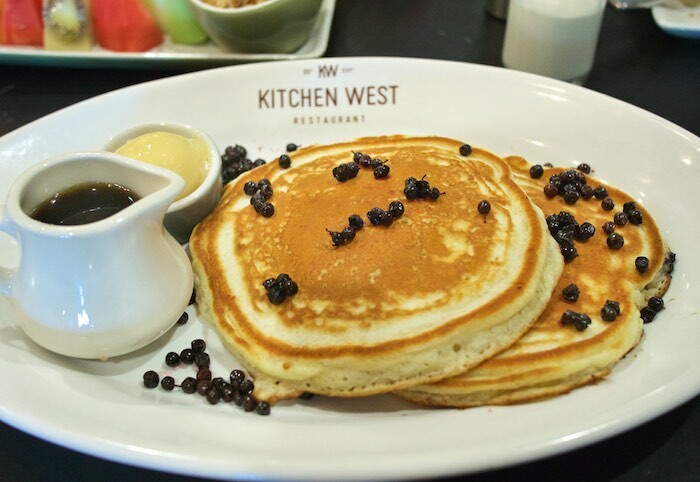 If you are looking for a place to relax and unwind in the Phoenix are, I would suggest a mini vacation to The Scottsdale Resort including dinner at Kitchen West. Such a great looking resort! I love all that food! I seriously need a 24 hour vacation. Wish we were near by the Scottsdale Resort. 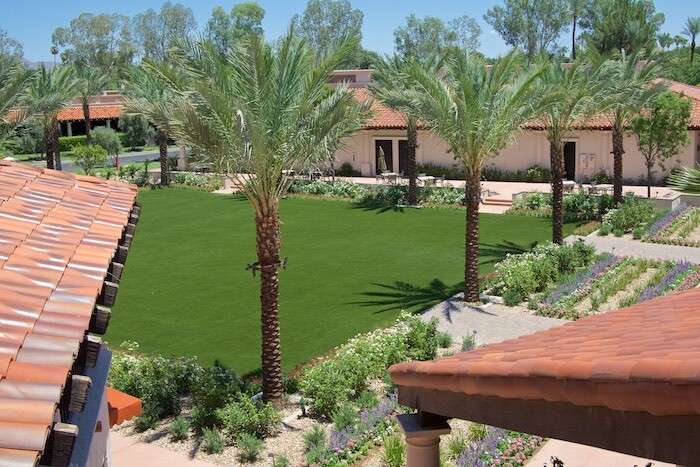 I would so love to stay at the Scottsdale Resort at McCormick Ranch! 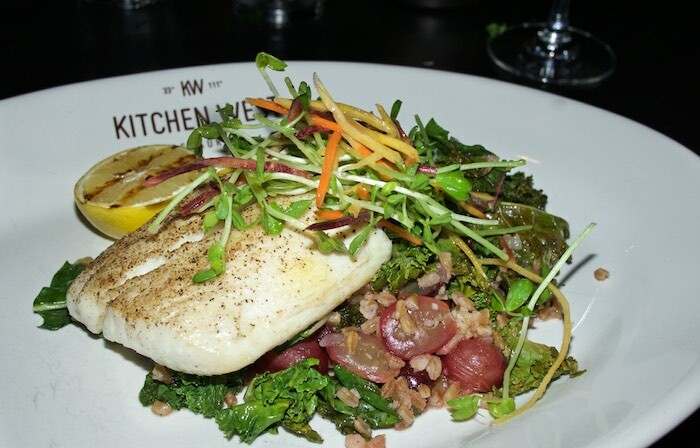 The dinner at the Kitchen West looks fabulous. Putting this on my vacation spot want list! wow..i am dreaming of a vacation now! Nice food too. Adding this to my list. Oh yes please!! The resort looks fabulous, but that breakfast - OMG!!! Looks like a great little getaway! I used to live in Tempe but basically haven't been back to AZ since 2003. But that resort might tempt me back! I need a 24-hour vacation!! :) The Scottsdale Resort looks and sounds fabulous. My husband's from Mesa with family in Scottsdale, we'll keep it in mind the next time we're down there. Looks beautiful and very relaxing! I really want to come back as you in my next life! The resort and food look amazing! This resort looks like so much fun! So relaxing! 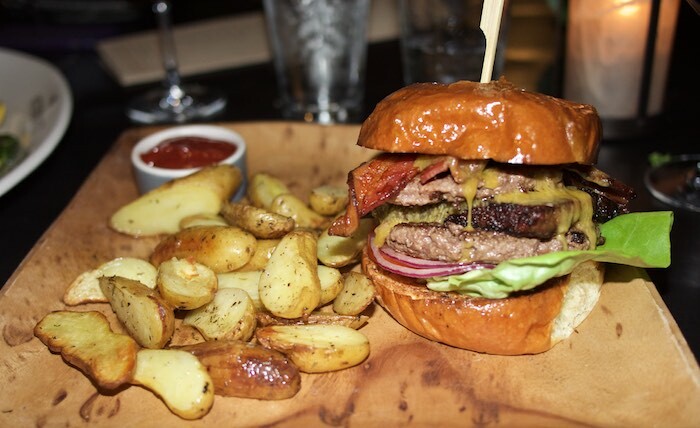 And that brisket burger! Wow. The whole experience looks fab!! 24 hours of luxury and tasty meals! Brisket burger and those taters look like a feast, although I do appreciate and enjoy fish when cooked well and presented so beautifully! Good for you!!! Looks like an amazing place with fabulous food! Can't beat that! I am drooling over the food! What a great place, looks like a fantastic time! Love Scottsdale. The food looks amazing!